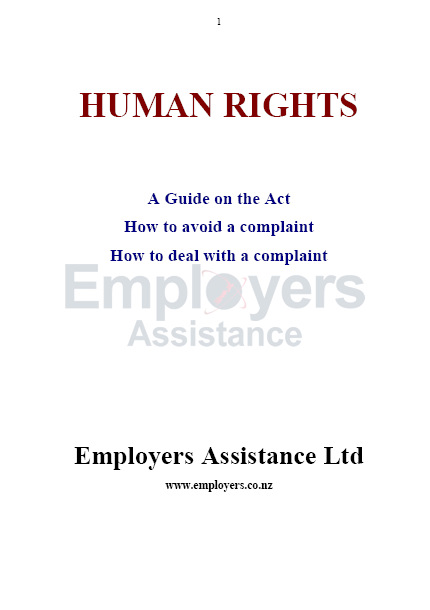 THE HUMAN RIGHTS ACT 1993 came into force on 1st February 1994. The Act is aimed at stamping out discrimination in the work place. It seeks todo this by making employers responsible for any acts of discrimination in thework place whether carried out by employers or employees. 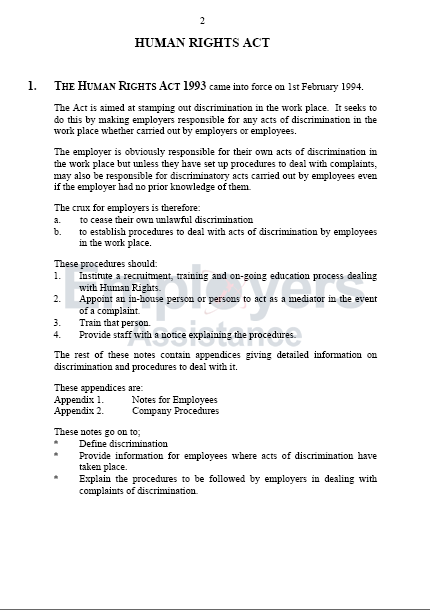 to establish procedures to deal with acts of discrimination by employees in the work place.